SALT LAKE CITY, UT (January 18, 2019) – Today the Salt Lake Chamber, Utah’s largest and longest-standing statewide business association, held the Utah Economic Outlook & Public Policy Summit, in partnership with the Kem C. Gardner Policy Institute, to preview the business community’s priorities for the upcoming 2019 General Legislative Session. The Utah Economic Outlook & Public Policy Summit is the state’s premier economic forecasting and public policy event. This year, the Salt Lake Chamber was honored to have Delta Air Lines CEO Ed Bastian give the keynote address. In addition to learning about the Chamber’s legislative priorities, the nearly 900 business, policy and academic thought leaders in attendance also gained valuable insight on the future of Utah’s economy. Prior to Ed Bastian’s keynote address, Chamber leaders unveiled the Salt Lake Chamber’s 2019 Legislative Priorities, titled “Utah’s Growth: Today’s Actions Create Tomorrow’s Future,” which outlines the business community’s top priorities for the upcoming legislative session including, modernizing Utah’s tax code; meeting Utah’s talent needs by investing in education; ensuring Utahns can raise their families in the communities they love at prices they can afford by tackling housing affordability; keeping Utah moving with continued transportation investments; improving air quality by reducing woodburning, and tackling transparency in health care. 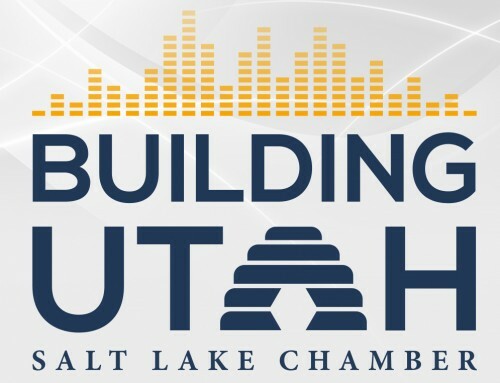 In releasing the Salt Lake Chamber’s 2019 Legislative Priorities, Abby Osborne, vice president of Public Policy and Government Relations, moderated a panel with House Speaker Brad Wilson, House Majority Whip Mike Schultz, Senate President Stuart Adams, Senate Majority Whip Ann Millner, and Senate Minority Leader Karen Mayne to discuss the Chamber’s priorities in relation to other major issues facing the Legislature this next session.